Despite the heightening number of visitors streaming into this beautiful and charming city, Ladakh has a lot of great things to teach the West on ecological consciousness. Many Ladakhs residents are not financially stable however their conventional mud brick abodes are massive and essentially self-reliant in fuel and products, vegetables and barley which is used to make roast barley flour and the famous barley beer. The impenetrable walls of the great mountains that edge in the city of Ladakh make for an indelible landscape. Noteworthy also is that road access to this town entails crossing the highly vexing passes which usually close from October to May. All these are a true manifestation of the beauty of Ladakh. What will fascinate you, even more, will be visits to the mind-blowing places highlighted below. This prepossessing town is situated at the sighty Indus river valley and at the very crossroads of the early trading passages from Xinjiang, Tibet and Kashmir. There also exists a route that connects it directly to Khotan. Notably, the city’s significance as a merchandise town reduced when British India was partitioned and it came to a halt with the closure of the border during the Sino-Indian war in the year 1962. However, since it was made a tourist center in 1974, tourists have constantly been streaming together with a lot of the Kashmiri traders. It also essential to note that the town has a small radius and hence it is easy to access various awesome and breathtaking places within it. The agricultural suburb Changspa is also a perfect place to visit in Leh too. The grand Bazaar’s elevation is around 11,490 feet above the sea level but Changspa is much higher. Owing to this it is therefore advisable to take it easy during your first few days while here or risk a probable altitude sickness. With tthese incredible and amazing features, the beautiful and fanciful town of Leh should also be your ultimate one stop town. Sham Valley Trek Popularly known as the Apricot Valley, this Valley is abode to the stunning Apricot Flower that flowerets in the valley during the winter seasons. Noteworthy, this trek is the easiest in the vast Ladakh region and is suitable for both beginners and families. The trek is famously known as the “baby trek” and it will without any doubt entice you with immensely gratifying walks to a number of remote or rather secluded villages in Ladakh region going through enthralling small mountains, beautiful streams, lovely shady willows and vast barley fields. On this delightful trek you will have the ultimate opportunity several panoramic views of the alluring landscape. It is also important to note that the trek begins from Likir which is at an altitude of 3500 meters all the way to Hemis Shukpachen which is at an altitude of 3700 meters. Also during the trek you will go through some highland drifts, Phoebe La which is at an altitude of 3580 meters, Mebtak La which is at an altitude of 3750 meters and finally Tsermangchen La at an altitude of 3750 meters. All these paces have a fairly uniform elevation which is ideal for beginner and family escapades. This valley trek will also give you the chance to familiarize with the wholesome life of the Indo-Tibetans that entails cuisines, rituals, festivals and hospitality. This route is well known for not being patronized by trekkers because the majority of tour operators do not advertise due to inadequate of well-trained horsemen who are conversant with the trail. Noteworthy the route was first surveyed by a well-experienced team of Footprints for the sake of the British trekkers who wanted to go on an offbeat trail. This trek is an ideal one for true adventure enthusiasts and for those who wish to experience the amazing and perfect nature magic. On this hike, you have the opportunity to walk through the ancient Indus Valley Civilization and also clearly witness the enthralling traditions and beautiful monasteries of the old Tibetan Buddhism in the small Tibet of India. This hike is without any doubt a perfect experience. This spectacular and breathtaking Valley is indeed an ultimate place to be. It will without any doubt lift your holiday spirits and even more fascinating make it worth remembering. The valley is situated 150 kilometers from North of the prepossessing and sighty town of Leh. It is also important to note that the town has exceedingly cold temperatures during the winter season. However, the incredible features and the mind-blowing landscape are so attractive making the valley a favorite tourist center in both Jammu and Kashmir. This awesome valley can be reached from Leh through numerous high passages. Finally, for an ultimate and distinct tour experience don’t hesitate to tour this great valley that lies at a high altitude. This attractive endorheic lake is situated in the Himalayas and is also known as Pangong Tso. It is 134 kilometers long and extends from India to China. It is also situated at the height of 4350 above sea level and is among the largest tourist attraction sites in the country. The incredible allure and magnificence of Pangong Lake has attracted people from all walks of life across the vast globe. The lake is in the process of being recognized as a wetland with global importance under the Ramsar Convention. If the lake is really recognized as a wetland, then it will be the first lake in South Asia to be a trans-boundary wetland. One aspect that will greatly fascinate you about this lake is that it keeps changing colors-Making the lake perfect a scenery that will make a lasting impression in your eyes. Located in the Himalayan range, it’s around 140km from Leh in Jammu and Kashmir. The name of this alluring lake originated from a Tibetan word “Baggong Co” that means a narrow and enchanted lake. I am confident to state that the lake is indeed enchanting. To confirm my assertion all you need to do is to pay a visit to this beautiful lake. If you are a bird lover, then it will be worth visiting Pangong Lake for it is a paradise for the birds. Some of the birds that you will see here are the seagulls and the naked black cranes. Importantly the lake lies at the Sino-Indian Line of Actual Control and hence while visiting it you need to acquire the Inner Line Permission. Also owing to proximity to the border you will be allowed to tour only up to a specific location. Tso Moriri is situated 240 kilometers from Leh and at an altitude of 14000 feet above the sea level. It is near the village of Korzok. This beautiful lake is bounded by a mounted and is an abode to numerous distinct and unique migratory birds. The lake is famed for being the largest high altitude lake in India. It is fed by several springs and snow-melt water from the mountains found on the Changthang plateau. While here you can also pay a visit to Korzok village and its little but beautiful monastery. The lake is without any doubt any reasonable doubt a perfect place to visit. 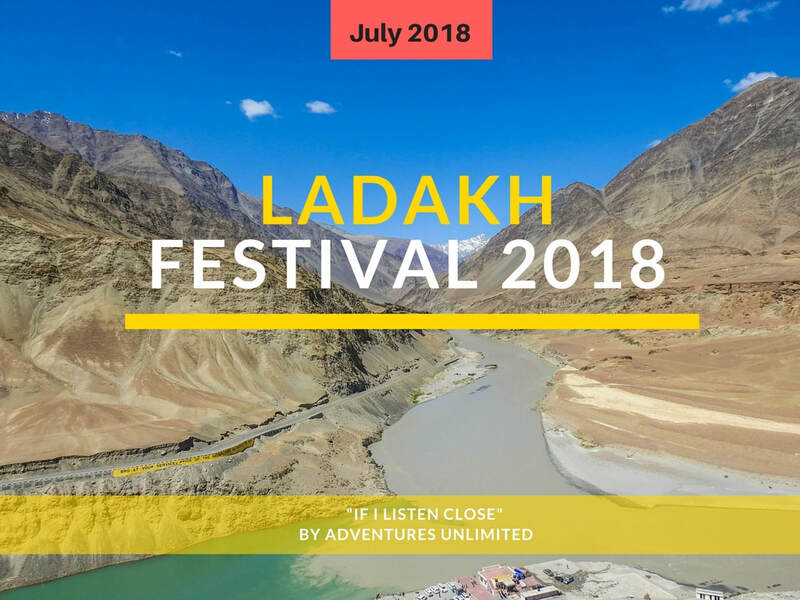 Hi Bernard, please view full itinerary and cost at http://www.liveopenly.net/ladakhfestival2018.html. Please contact Simon at +65 91999 257 for more details.